If you love Cozumel then you probably keep coming back and most likely do your best to understand true Mexican culture more instead of just putting it aside. At least that is what I have come to experience when talking with travelers that are in love with Cozumel, Mexico. So today and especially today I wanted to talk a little bit about a very popular Mexican tradition and holiday. El Día de los Muertos – Day of the Dead! Speaking with many people back in the US I find that there is a common misconception that Day of the Dead is the Mexican equivalent of what Halloween is in the United States. That couldn´t be farther from the truth. Although it it begins on Oct 31st in the evening it also goes through Nov 1st and Nov 2nd its actually very different from Halloween. This is a holiday meant to honor the dead by gathering friends and family to pray for family and loved ones who have passed on and to reflect on the frailty of life. This includes the building of private altars which are called ofrendas and on these altars they are decorated with candy skulls and marigolds as well as with the favorite foods and dishes of the deceased loved ones as a way of honoring them. These private altars are usually built in the cemetery but if you have been in Cozumel during this season you may also notice some people build them right at their homes or porches. 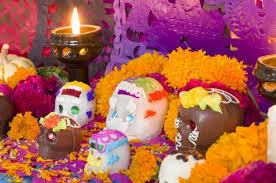 “Why is it called DAY OF THE DEAD if its spread across 2 days?” Oct 31st is All Hallows eve and also when children in Mexico build their altars to invite the Angelitos or little angels which are the little children who have passed on Nov. 1st is actually Día de los Inocentes or Day of the Innocents. November 1st is when the children who have passed on are honored and invited to the altars that have been built usually by the children. November 2nd is actually the Día de los Muertos but also known as All Saints Day when the adults are honored and this is the day that families normally make their visits to the cemetery. 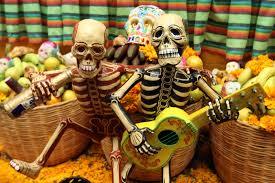 In Cozumel you get a mix of both Mainstream Halloween and Day of the Dead. This due to the constant flow of tourists on the island combined with the understanding by the warm locals that Halloween is a fun Holiday for most people in the United States(as it has certainly lost its religious significance for some time now). There is usually trick or treating to some extent on the Plaza but usually spread across November 1st and 2nd as well. There will be many depictions of La Catrina which is a Female skeleton often depicted doing things that the living do regularly. 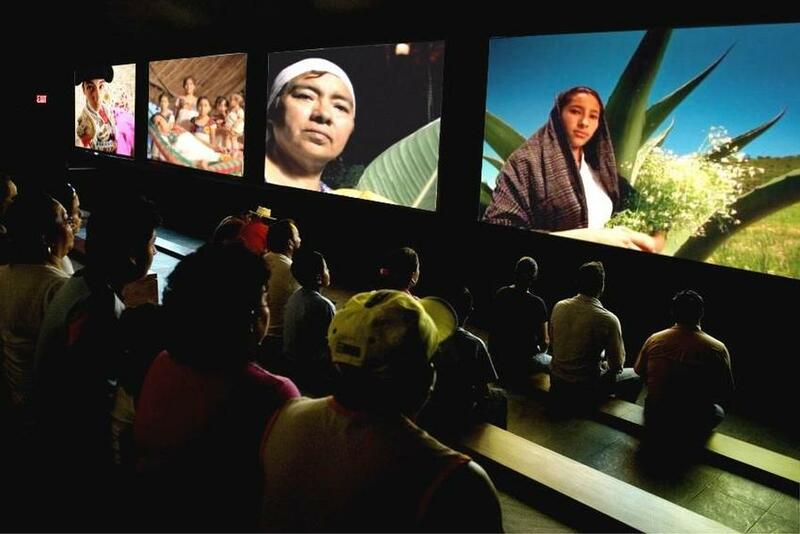 This is a tradition that goes back to pre-Hispanic times although it has changed quite a bit. It is not a somber or morbid Holiday and is a very interesting Holiday. Discover Mexico among others always prepare and display authentic Day of the Dead altars so come check out Day of Dead here in Cozumel. If you didn´t know much about this tradition hopefully now you will understand it a little more. This entry was posted in Cozumel Travel Tips, Mexican Culture and tagged Cozumel, Cozumel Activities, Cozumel Concept Park, Cozumel Cruise Excursions, Cozumel Cultural Events, Cozumel Cultural Park, Cozumel Cultural Tours, Cozumel Excursions, Cozumel Family Activities, Cozumel History, Cozumel Mexico, Cozumel Travel Tips, Day of the Dead, Discover Mexico Cozumel, History of Mexico, Mexican Culture on November 1, 2014 by discovermex. 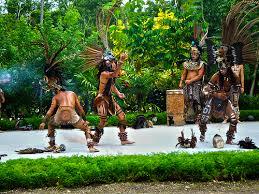 If you are considering taking a trip to Mexico, going on a Cruise to Cozumel or you are already living in Cozumel Mexico, but you haven’t seen some of the many wonders of Mexico, one of the best places to go is to the Cozumel Cultural Park. 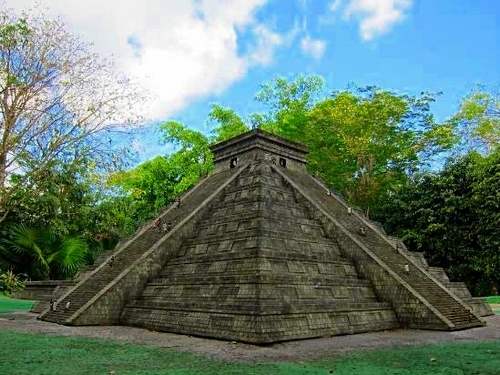 In addition to the park, there are a variety of other things to do in Cozumel, including a variety of different activities and the world famous Cozumel Tequila tours (for adults only of course,) but there are also a variety of different Cozumel excursions to take part in with the whole family! While looking for things to do in Cozumel, be sure to visit Discover Mexico! 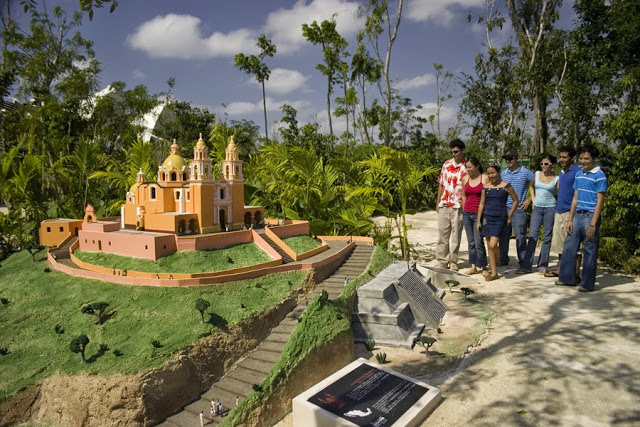 Discover Mexico is an extremely unique Concept theme park and is one of the most popular parks in Cozumel. 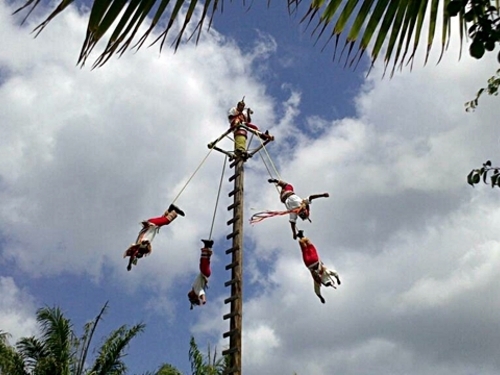 Discover Mexico offers the unique opportunity for tourists to learn and experience a wide variety of different Mexican wonders that will not only bring you into the spirit of Mexico, but give you a taste of the life and culture that is this great country. 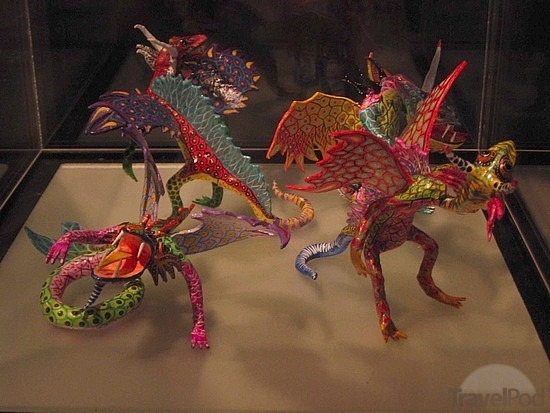 Discover Mexico features a wide variety of different Mexican wonders all in one area including different historical sites, styles that have pervaded the Mexican culture for many years, and arts and crafts from the Mexican culture of the years that visitors will have the chance to take part in. Discover Mexico is an incredible experience when looking for things to do in Cozumel as the park offers visitors the chance to take part in a variety of Premium Cozumel Tequila tours and other Cozumel excursions, as the entire point of the park is to express the incredible diversity of Cozumel and Mexico to visitors in the best way possible, and allow tourists to gain a much larger picture of the incredible island of Cozumel and this great Nation, instead of simply seeing the main sites that others see. This gives you the unique chance to get a look at the history and culture of Cozumel and Mexico straight from the mouth of native residents. Discover Mexico is a one of a kind experience for the area, and is a must see for anyone who is interested in visiting the area and learning about the culture. Not only will you have the opportunity to learn about the culture of the island, but you will get to take part in many of the different cultural activities that the natives take part in on a regular basis! This is a great trip for you, you and a date, or the entire family as there are wonders for people of all ages to enjoy! Contact us today about your Visit to Cozumel! This entry was posted in Uncategorized and tagged Cozumel, Cozumel Activities, Cozumel Concept theme park, Cozumel Cruise Excursions, Cozumel Cultural Park, Cozumel Cultural Tours, Cozumel Excursions, Cozumel Family Activities, Cozumel Family tours, Cozumel History, Cozumel Mexico, Cozumel Musuem, Cozumel Tequila, Cozumel Tequila Tours, Discover Mexico, Discover Mexico Cozumel, History of Mexico, Mexico, Mexico History, Premium Cozumel Tequila Tours, Things to do in Cozumel on August 18, 2014 by discovermex.